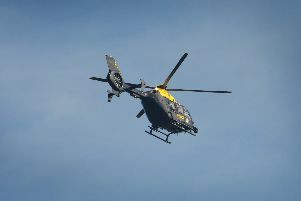 A wanted Hastings man over several burglaries in the town was found hiding in a loft and subsequently charged by police. David James Wallace has been charged three house burglaries and 13 other offences after being found in Clive Vale. Two other men wanted on warrants were also arrested at the same time. The £500 reward for information leading to the arrest of David James Wallace has been claimed. As a result of a tip-off police went to a house in the Clive Vale area of Hastings where the 38-year-old was found hiding in a loft. Det Sgt Jason Tuck, of Hastings priority crime unit, said: “Wallace was arrested on Thursday, January 7, as the result of information given to us following the offer of a reward. “He has been interviewed and charged with three dwelling burglaries and 13 further offences, ranging from burglary to making off without payment. DS Tuck confirmed the £500 reward offered in early December would be paid to the claimant.